The Jack O’Lantern began as a turnip carved with a face and lit with a candle. How did this tradition begin? 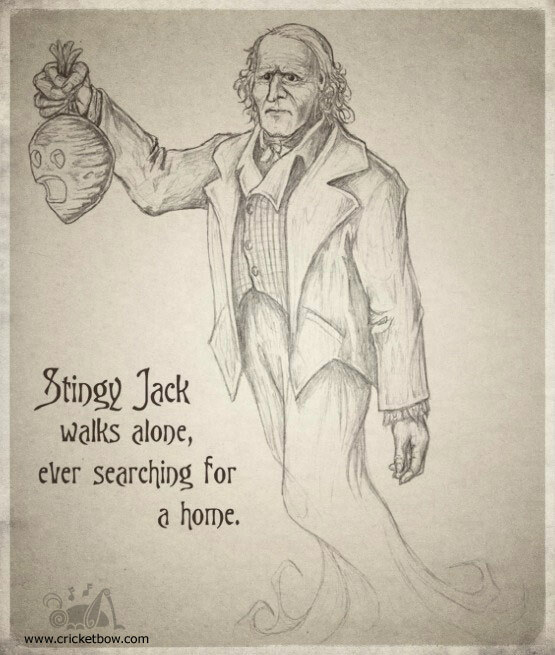 In Irish folklore, there was once a man nicknamed Stingy Jack. The stories vary slightly, but according to the legend, he was quite a character: always drunk and stealing and playing tricks on his family and friends. As he was stumbling home one night, he met the Devil. Jack tricked the Devil into climbing into an apple tree to pick an apple and while he was up there, Jack carved a cross into the bark so that the Devil was trapped in the tree. Before he would release the Devil, Jack made him promise that when he died the Devil would not take his soul. The Devil agreed and Jack let him go.When Stingy Jack finally died, he was denied entrance into Heaven because he had led a sinful life and was not sorry for any of the stealing or cruel pranks he played on people. Jack descended into Hell where he once again met the Devil, who kept his promise of not taking Jack’s soul when he died, so he was not allowed to remain. To help Jack wander in the darkness of the afterlife, the Devil mocked him by giving him an ember from the fires of Hell to light his way. Jack placed it in a carved out turnip, and then used it as a lantern to light his way while searching for his final resting place. And so he became Jack of the Lantern or simply Jack O’Lantern. The Irish began carving out turnips and placing lights inside them to ward off Stingy Jack and other wandering evil spirits. Immigrants that came to North America soon began using pumpkins, as they were much larger and easier to carve than turnips and other small gourds. Today, the pumpkin has become the food of choice to carve with scary or comical faces and many other glowing, creative works of food art. Many people still light them with candles because of the creepy flickering nature of the flame, but some will use flashlights or other small lighting devices now available to help keep Stingy Jack at bay.